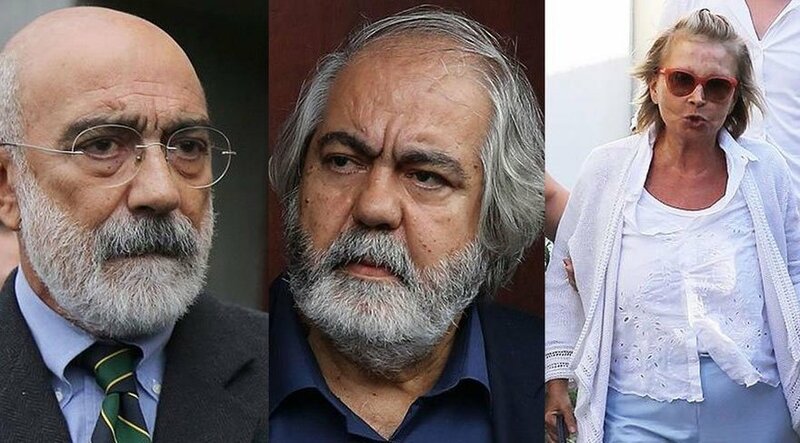 An İstanbul court on Tuesday ordered the continuation of the pretrial detention of 17 journalists and members of the media, including Ahmet Altan, Mehmet Altan and Nazlı Ilıcak, at the second hearing in their trial, and adjourned proceedings until Nov. 13. In a case heard by the İstanbul 26th High Criminal Court, the ruling came after a prosecutor demanded the continuation of pretrial detention for all suspects, citing them as flight risks. The court also ruled to separate the files of former Zaman daily Editor-in-Chief Ekrem Dumanlı, Today’s Zaman Editor-in-Chief Bülent Keneş and journalists Tuncay Opçin and Emre Uslu from the case. Along with the Altan brothers and Ilıcak, Dumanlı, Keneş, Uslu, Opçin, Abdülkerim Balcı, Şemseddin Efe, Osman Özsoy, Faruk Kardıç, Fevzi Yazıcı, Mehmet Kamış, Şükrü Tuğrul Özşengül, Yakup Şimşek, Ali Çolak and Tibet Murat Sanlıman are all standing trial. During another trial at the İstanbul 13th High Criminal Court in a hearing at the Silivri Prison compound, the court ruled for a continuation of the pretrial detention of 21 journalists, former employees of the Zaman newspaper, which was shut down by the government last year. This article originally appeared in Turkish Minute on Sept 19.